As far back as I can remember, I have always loved chocolate, coconut and nuts too for that matter. I mean who doesn't love a good chocolate candy bar? One of my favorite candy bars is an Almond Joy. So when I got my now infamous smoothie maker, I set out to find a few good recipes. So far I have shared one for a Pina Colada Smoothie and another for a Black Cherry Smoothie. 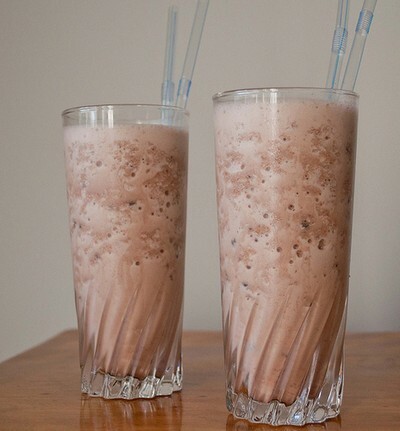 Recently, a question was asked by another Hubpage's author about favorite smoothie recipes and thought I would share another, because of this question. Today's Smoothie is for Almond Joy and was born out of the need for a chocolate bar fix one day for both my husband and myself. We searched online for a recipe and came up with one for an Almond Joy smoothie, but many of the ingredients we had truly never even heard of. So we wrote them down and went to our local grocery store, where we found some that resembled the ones we were unsure of. We made it and thought about what we liked and what we would do differently. Of course, we added ice cream (the original called for ice cubes), because what is a smoothie without ice cream! Then we also added chocolate chips too so as to make it taste more like a chocolate bar of course. The original recipe called for almond milk, but we found the coffee creamer that was flavored like a toffee bar by Bailey's and actually liked that better for this one too. Also we perfected the measurements a bit too for our taste buds. And what was born was an absolutely sinful Almond Joy explosion. I do hope you try this one, because it is truly without a doubt so yummy and just to die for. Place in a blender, liquids first, dry goods, then ice cream. Blend for about 30 seconds, staring at the lowest speed. Then let it blend on high for at least another 30 seconds, until it is light, airy and all mixed. This hub is a recipe for an all American favorite drink. The recipe is for a non-alcoholic Pina Colada Smoothie. This hub is a recipe for Black Cherry Vanilla Smoothie. This recipe is very easy and inexpensive to make, but so vey delicious. You had me at coconut and almond, Janine- two of my favorite flavours. Combined here in a perfect smoothie... yum. It may be a sinful explosion, but what a way to sin. thank you for sharing this recipe...up/shared. Thanks for the great recipe, Voted up and sharing! But let me tell you it would be worth it! This is the absolute best smoothy on hubearth and I'm ready to sin! Gotta vote up and beyond and share with all my sweet buddies. Mahalo! Oh my goodness this sounds so good!! Are you really going to tempt me into driving to the store this evening.... hmm... gahh you torment me Janine ^_^ Voting and sharing! Mmmm sounds delicious Janine and here's to another for my recipe book. Thanks again for sharing a great hub and have a wonderful day my friend. 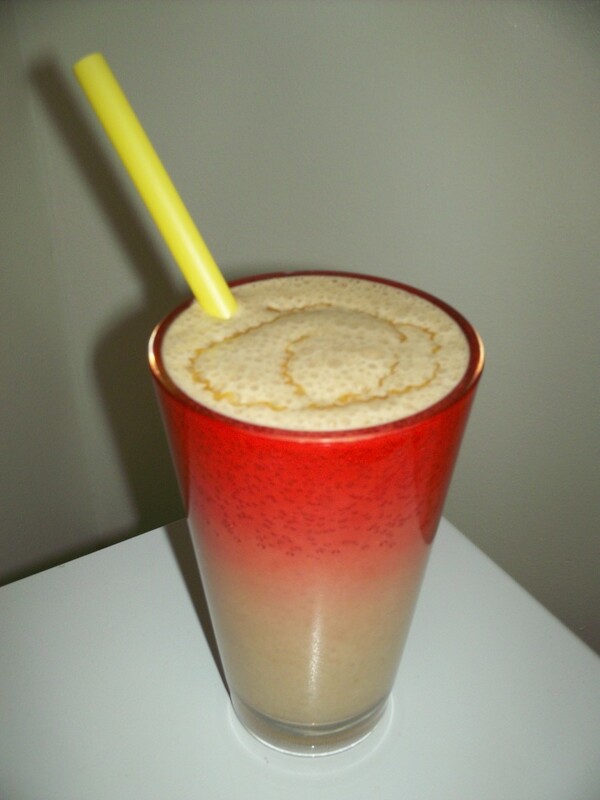 Ishwaryaa22, I am glad to share a delicious smoothly here and do hope you get to try. I have had Mounds (which just has coconut and maker of Alomd Joy too), but never had Bounty. I have had Cadbury Eggs, but not with almonds and that too sounds very yummy. I do hope that you will be able to find Almond Joy at some point, but if not trust me this smoothies tastes so much like it and will satisfy that craving. Thank you seriously for your continued support and kindness. I honestly am humbled and do appreciate it greatly!! Wow! Another delicious smoothie recipe from you! Like you, I am very fond of chocolates, coconut & nuts. I would like to buy Almond Joy chocolate when I have the chance. I have eaten chocolate with coconut (Bounty) and chocolates with almonds (Cadbury) - so amazing! A wonderful hub with a tasty photo, easy-to-follow instructions and an engaging video! Rated your tasty recipe 5 stars! Well-done! Stephanie, if we lived closer, I have the ingredients and would share with you completely. Thank you seriously for your comments, votes and sharing too!! Oh, this sounds so sinfully delicious that I want to go out and get the ingredients so that I can make one this afternoon! Thanks for the great recipe! Voted up and sharing! Linda, I agree about Almond Joy's being the da bomb!! Thank you though about saying that about my girls and me. I have to tell you this was a good and healthy alternative for when Lily was being her picky self this past summer with eating too!! Mary, very glad to have this and so much else in common with you. I am always making smoothies in the warmer weather an lost track how many times I made this one. It truly is so delicious and does indeed taste like an Almond Joy candy bar, my favorite too!! Thank you also for the votes and share socially too!! You and I have a lot in common! I can't wait to give this one a try. Almond Joy is my very favorite candy in the world! I voted this one UP, shared with followers and socially, too. An example of a creative recipe, Janine!! Thanks for this smoothies and from the way you explained how it's come about, it is a creative smoothie for sure. Thanks for another recipe to pin! Shared too! Moonlake, thank you for the comment and votes too. I hope you get to try and enjoy this one!! Deborah, I have to admit this past summer I have made sure to have the ingredients at the ready for this one, because it is so tasty. I sometimes have it at lunchtime and then other times after dinner for dessert. It is really that versatile. Thank you for stopping by, commenting and pinning too!! Sounds good to me. I love smoothies and almond joy is my favorite candy. Voted up. This sounds amazing! I love Almond Joy, too. It's one I always get to pass out on Halloween so I can eat the leftovers! I'm going to pin this on my recipe board. Mary, I am right there with you on this, being a chocoholic from way back, who loves coconut and almonds too! So let me tell you this one has never dissappointed me on any of these three. Thank you so much also for the comment and votes too!! Beyond a chocoholic's dreams, especially one who love coconut and almonds! Perfect. Keep 'em coming. I confess I made this one again for lunchtime yesterday and it was so yummy. Seriously, I cannot get enough of the almond joy smoothie and it is one of my favorites. Dianna, thank so much for stopping by and commenting. I hope you get to the store soon and try this one too!! Oh my! Almond Joy's are a favorite treat of mine and to have them in a smoothie is too much for me to even handle right now... Heading to the store! Tetsuo01001, thank you for stopping by and for your comment too!!! ShiningIrishEyes, sorry to be sharing such rich recipes, but can't help it, they are so good I feel the need to share. That said I hope you do get to try and of course enjoy!! Oh Man! If I keep trying these decadent and delicous recipes I'll be running endless miles! Thanks and you know I will be trying this. ITommyGuns, sorry about not forewarning you about buying extra at the store today. Seriously, I do hope you get to try and enjoy this one too!! If I only knew this was coming I would have bought extra bars this morning. I just enjoyed one on the way home from store. Sorry for the added calories recently. I just can't help it since it is that time of the year that my husband and I love to make smoothies, I couldn't resist sharing here. But seriously this one is so darn good that even I wanted another today after just having one yesterday. Now you got me so excited for Monday morning to see what your article with a mention of me :). Thank you for being so very kind and of course supportive as always!! Enough Janine! I'm going to weigh 280 if you keep tossing out recipes like this one. OMG I want one of these so badly!!!!! Hey, just thought you would like to know....you are mentioned in my hub tomorrow...might want to check it out. Joseph it is kind of funny that a 1977 baby is funny to, you, because most days lately I feel ancient especially around young kids when I remember things they have no clue. But seriously, thanks for comment here and same here about being a coco up lover!! A 1977 baby? I'm old then..Lol! Loved this sinful Almond Joy Smoothie Janine. Always a coconut lover, so this is great! Vespawoolf, I love snickers bar too and you are totally speaking my language over here! I bet it could work too and now you have me thinking about possible ingredients. Thanks again for the comment and votes too!! This sounds like the perfect milkshake! We can't get almond joy candy bars here, but maybe a Snickers would work? I'm all for anything and everything chocolate. : ) Voted up! Ruchira, if I don't see the calories then they don't exist. Seriously not sure how much calories are added when you put ice cream in, but oh my god it is so delicious!!! Teresa, the ice cubes worked just fine, but the ice cream is just so damn irresistible. Either way it is delicious and hope you do get to try and enjoy this one too. Thank you Josh. As you can tell Kevin and I just love a good smoothie. Thank you again for always being so supportive and thoughtful!! Another delicious smoothie! Pretty soon, I am going to have a smoothie for every day of the week with your hubs! Thanks for sharing Janine!